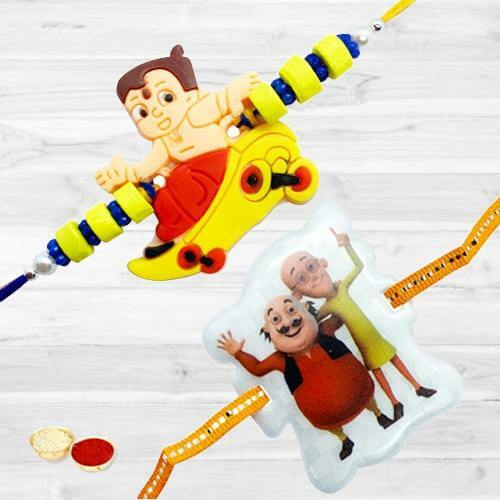 Convey your heartfelt Raksha Bandhan greetings to every one you adore by sending this Attractive Two Rakhis for Children with Amazing Designs that comes with a free Rakhi, Roli Tilak and Chawal to make those people feel more loved. These are exclusively designed Rakhis in Red and White combination. These Three Rakhis are Nicely Gift Wrapped. There may be diversification in the designs.